The holidays are almost here. Writing down who to shop for and what to get now can potentially keep more money in your wallet. You can even stay within budget, avoid a debt hangover and get a wonderful gift for everyone on your list using the following tips. Take the stress out of shopping by running with a theme. Let this be the year that people on your list all get similar gifts. Give a bottle of wine, a bag of gourmet popcorn or a pair of movie tickets. 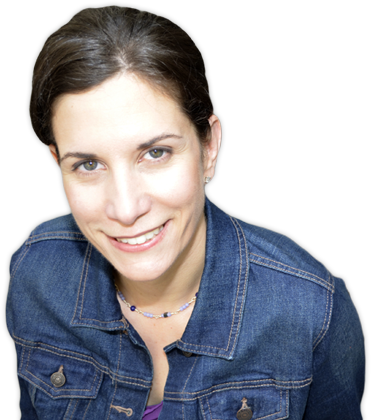 You can cross a bunch of people off of your list all at once by batch purchasing. This can potentially save you money buying in bulk while getting your shopping done in one shot. 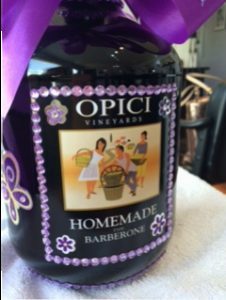 If you do go the wine route or purchase another type of alcoholic beverage, think about decorating the bottle or getting ones that have custom etching. You can even add some sticky gems and a ribbon to make it extra special. An alternative option is to attach a picture of yourself and the recipient on the gift tag with a funny saying like, “Ever had too much wine? Me neither.” You can find a variety of sayings like this on Pinterest. There’s a board devoted to funny wine sayings here. I take pics whenever someone gives me a recommendation. Otherwise, I’ll pick the brain of a package store owner in hopes that they’ll know what’s popular. Buying multiples isn’t just for shopping at a bulk warehouse store. I have found some useful generic gifts at random stores. Decorative note cards, fountain pens, candles, ornaments and more can serve as fabulous, economical gifts. Generic doesn’t mean they have to be plain or low quality. You can easily spiff them up and personalize them a bit. One year I found a bunch of decorative snowman magnets that had enough room to write on them. I wrote the recipient’s name on them with permanent metallic marker. If you write their name in cursive, you’re less likely to mess up the lettering (it’s more forgiving). It also looks more unified and fancy too. A present like this can serve as the gift itself or can be given as a gift topper. Search around for other stores where you can buy multiple items for less like craft stores, 5 Below or even on Etsy or Amazon. If you’re a Prime member on Amazon, you can take advantage of lower prices. You can also stack a discount if you choose to purchase in bulk as well. And nothing beats free shipping. No contest. If you do decide to shop at a small business, go on Small Business Saturday. It’s the Saturday after Thanksgiving. It’s sandwiched between Black Friday and Cyber Monday though any Saturday during the holiday season is considered to be a Small Business Saturday due to the volume of shoppers that are out looking for gifts to purchase. Find unique gifts and support an area candle maker, jewelry designer or artist. Some places might even run promotions on that day. So think about stocking up on gifts to support a local business in your area. No matter what you buy, you can always personalize a gift by adding some sort of gift topper to make it more special. Go to a a sweet shop and buy pouches of hot chocolate and fasten it to the top with a mini pine cones, an ornament, or even a few candy canes. It adds a nice touch, won’t cost a lot and looks like you put more effort into the gift. Even if you do this last minute, it won’t seem like a last minute gift idea. Let the container holding the gift and still serve a function afterwards. Put gifts inside a stocking, tote bag or basket to make the presentation more interesting and useful. You can be kinder to the environment by skipping paper gift wrap that will end up in a landfill. Give a bride-to-be a book or two inside of a basket to help plan her wedding. 101 Quizzes for Brides and Grooms by Natasha Burton promises to uncover the couple’s wedding personality through a series of questions. The quizzes inside are set up to create a tailored made wedding for the couple’s special day. If someone on your list has a daughter getting married, there’s a book for her too. 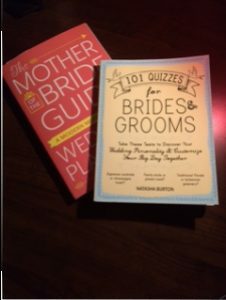 If the mother of the bride can use some help getting current on today’s wedding trends and avoid spouting out outdated ideas, she can get up to speed with The Mother of the Bride Guide: A Modern Mom’s Guide to Wedding Planning. Get the starter guide on how to blend family traditions as well as what to do for the rehearsal dinner. Chapter 3 is a mini crash course in dealing with budgeting and expenses when it comes to mom’s role in dealing with the wedding’s price tag. If the person on your list won’t be walking down an aisle anytime soon, consider buying other types of paperback books. The paperback versions costs less than the hard covers. If you’re a Barnes and Nobles member, you can receive special discount throughout the year to get a deeper discount. Avoid a shopping-induced panic attack by running around in search of the perfect gift. Make a list of people to shop for, check it twice and assess how much money you can spend in advance to stay on budget. 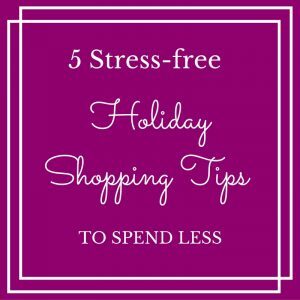 Then use the ideas mentioned above to save some money, get your errands done quicker and reduce the stress that can come with holiday shopping.